What does the donkey symbolize in this cartoon? What does the elephant symbolize? 2. a) What is the main idea of Lisa Benson’s cartoon? 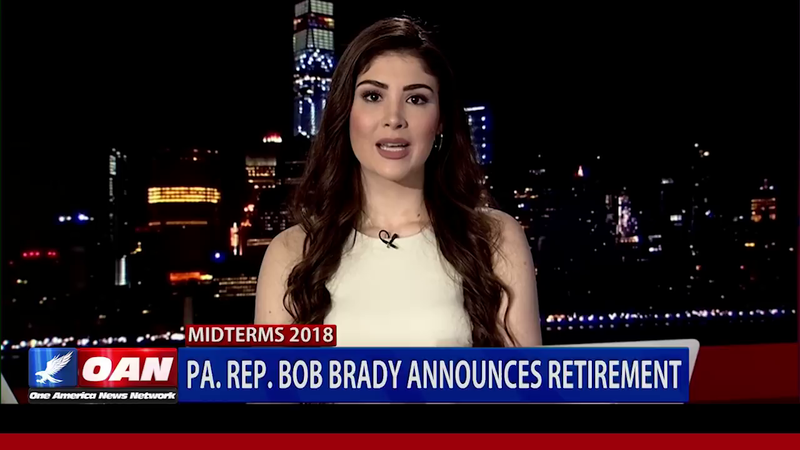 b) Watch the video clip from the State of the Union. Do you agree with Lisa Benson’s assertion in this cartoon? Explain your answer. 1. The donkey is the symbol of the Democratic party; in this cartoon the donkey represents the Democrats in Congress. The elephant is the symbol of the Republican party; in this cartoon the elephant represents the Republicans in Congress. 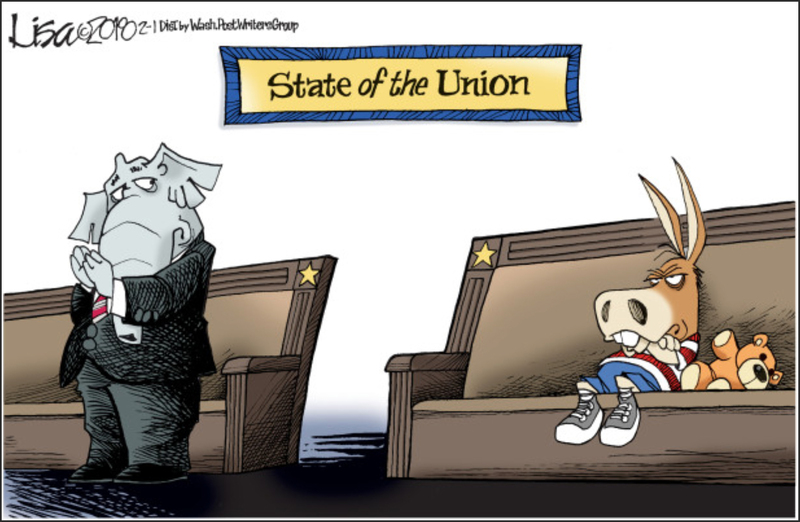 2. a) During President Trump’s State of the Union address this week, with the exception of a few Democrats who face tough re-elections in red states, the Democrats as a party sat mostly stone-faced or angry/bored looking during Trump’s entire speech. They did not applaud any policy he mentioned, including policies they support. Lisa Benson is implying that they were acting like children/babies/sore losers.